Epson introduced its latest high-speed inkjet printer that eyes to deliver technological advances to exceed users’ expectations – the WorkForce Enterprise, or also dubbed as the WF-C20590. 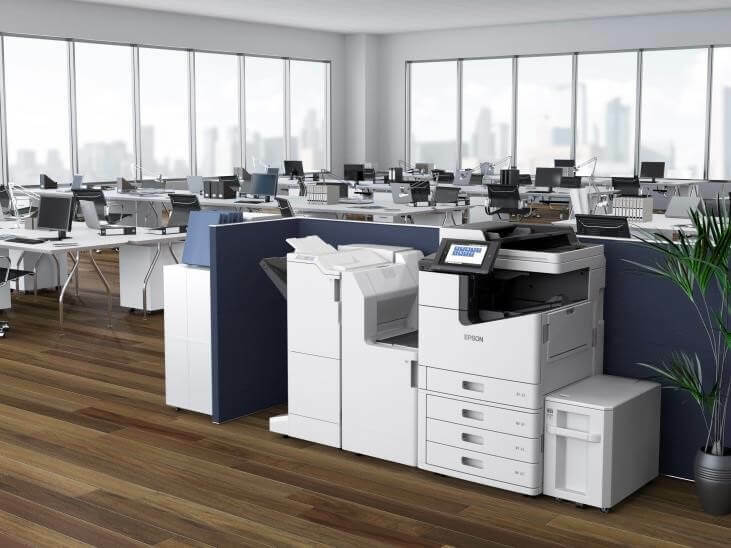 Boasting an ultra-speed, the WorkForce Enterprise MFP is said to achieve 100ppm in both simplex and duplex modes. Hence, it allows users to save more time and increase their productivity rather than waiting for a print or copy documents to be done. Moreover, the device has high-capacity yield up to 100,000 pages in black, and 50,000 pages in color. Epson also made sure that it won’t compensate image quality, as it is equipped with an electrostatic transport belt that helps papers to become stable. This enables documents to consistently produce sharp images. In addition, it is tapped as a self-maintaining printhead, too. Meaning, it can monitor nozzle status, and detect and adjust its performance – reducing the issue of clogged ink nozzles. Packed with these features, Epson’s newest WorkForce Enterprise Inkjet printer was able to sport a category-leading speed, impressive TCO value, and eco-friendly advantages.